I absolutely love makeup. 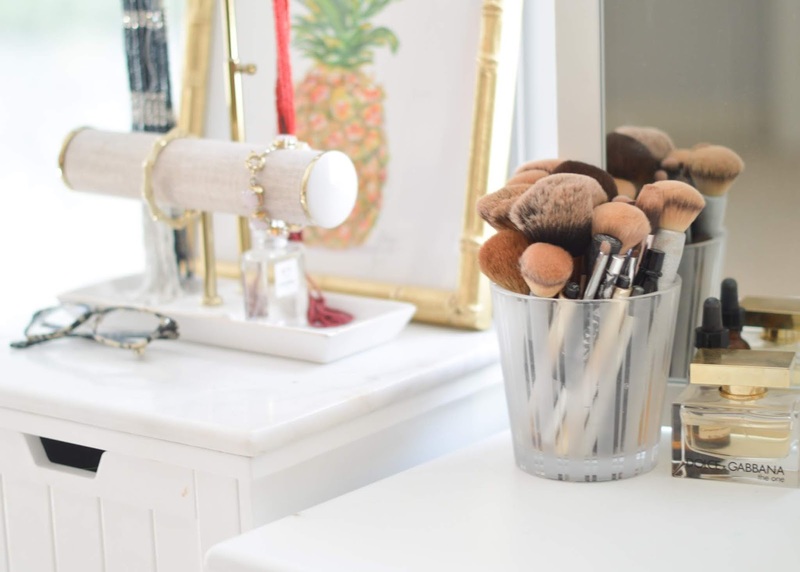 There are, of course, days that I would prefer not to wear any, but for the most part, makeup is a fun way to express yourself and your sense of style. About 2 years ago, I took a makeup lesson from a professional. I had grown up doing my own makeup, but she taught me some great tips that make applying fun and easy. So what's in my makeup bag? This is mostly what I use every day. For night-time or special occasions, I will often spice it up, adding more color or a smoky eye, but this is my everyday makeup basics. I don't use only one brand. I'm a huge fan of Estee Lauder's mascara and compact foundation, but I tend to lean towards Mac's primer and blus, and Bobbi Brown's bronzer. I also have a wonderful eye makeup pallet from Estee Lauder that offers a variety of colors for both day and night. What about my lips? During the day, I use a light lipstick plus chap-stick and a gloss. Winter definitely calls for moisturized lips. At night, I normally step up my lip color, choosing a deep red or a dark pink, something that stands out. Eco Tools (available at Target) has great brushes, though I only use three out of that set. I have a larger brush that I use for bronzer as well as a few other shadow brushes. Oh, and my eye pencil? You can find that at Target too. Check out LineExpress by Maybelline. It's great. Don't forget to live in the moment.